Parents with toddlers will know what I mean when I say that getting them to do anything they don’t want to do is basically like trying to go for a canoe … in a river … without a paddle. In other words: it’s virtually impossible and incredibly frustrating! Even though many adults regard having a bath as one of their favourite ways to relax and wind down, not all toddlers share those same feelings. In fact, many toddlers will voice how much they detest them! 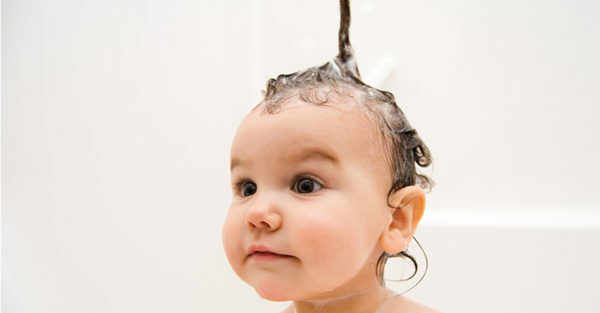 Here are some ideas that may help you to convince your toddler to get in the bath. Try adding a few squirts of food-colouring to the bathtub next time your determined little warrior puts up a bath time protest. The colours will not stain the skin, but they will transform the bath water from an ordinary bath into a bath full of colour and fun. If you’re feeling brave, you can even let your toddler squeeze the colour in themselves! Speaking of colourful, have you ever heard of bath crayons? Basically, they’re washable crayons that can be used by your little cherub to decorate the inside of the bathtub. Once your little willing bath time artist has finished their creation, the drawings wash straight off. You could also try making your own – if you really wanted to get creative! Have you ever tried turning off the lights in the bathroom and seeing what happens when you add some glow sticks to a bath? If not, you really should! With the cool colours that emanate from the glow sticks in the dark, it’s sure to be a winner. I guarantee that a glow in the dark bath will have your toddler running for the tub as soon as she sees you turning off the lights! Add some disco music for even more bath-time fun! Who says all baths and washing has to take place in the bathtub? Make bath time a novel experience by filling a different kind of receptacle with water, instead. Flexible tubs with handles make a great alternative to the traditional type of bath … or even a laundry bucket. Both options have that novelty factor which may be just what you need to mix things up and make bath time something your toddler looks forward to. Listen to Kinderling Conversation: Do children need to bathe every night? If all else fails and you still can’t get your toddler in the bath willingly, you could always try hopping in with her. With the addition of some good old bubbles and the added benefit of some skin on skin for connection and bonding. Having a bath with your toddler might just be the added bit of attention they need to make bath time a more pleasant experience. Because hey, which adult really doesn’t love baths and bubbles anyway, right? Sometimes in order to get a feisty, determined toddler to do what we’d like (or rather, need *peg on nose*) them to do, we as parents need to be willing to try approaching things from a different angle. In doing so can make all the difference, and ensure more peaceful experiences all around.